Cataract is a condition, in which the natural crystalline lens of the eye becomes opaque. This results in vision impairment or even a complete loss of vision. The causes of cataract include, age related metabolic changes of the lens fibre (i.e. senile cataract), traumatic cataract (i.e. 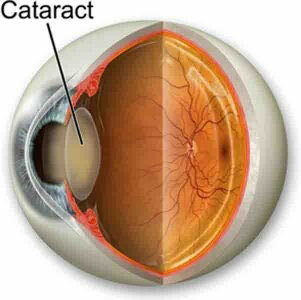 cataract due to trauma or injury), and congenital cataract (i.e. born with cataract) or occur secondary to an underlying medical condition like diabetes, excessive exposure to sunlight or abuse of alcohol and smoking. The most common type of cataract in the United States is the senile cataract, which has an incidence of as high as 42% among the age group of 52 to 64 years and up to 91% among age group of 75 to 85. The procedure is a simple daycare surgery, which is most preferably performed under local anesthesia and has a high success rate of 90% and low incidence of surgical complications. 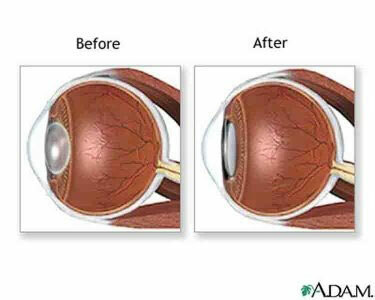 The surgery may require the replacement of the natural lens by an artificial lens which improves and restores the patient’s vision after the surgery. International medical tourism destinations like India, Jordan, Turkey, Mexico and South Korea have medical infrastructure comparable to the United States, and provide low cost cataract eye surgery. Most of the institutions abroad are accredited by international standard accreditation agencies which ensure high quality of medical and surgical care. Common symptoms of cataract include blurring of vision, fading of colors, poor night vision, halo around lights, double vision or multiple visions or frequent changes in the visual acuity. The patient is subjected to a series of diagnostic tests which include visual acuity tests, dilated eye examination (a magnifying lens is used to view the retina and the optic nerve after dilatation of the pupils) and tonometry (to measure intra ocular pressure). The patient’s eyesight is evaluated for the presence of other conditions like macular degeneration, glaucoma, retinal detachment, etc. The presence of these conditions, considerably limits the recovery of sight after the surgery. The drug history and medical history of the patient are reviewed to evaluate the fitness of the patient, and capability to undertake the surgery. Though the surgery is a simple procedure, a thorough clinical and medical evaluation is a requisite. Surgical removal of the cataract is a simple day care procedure which is conducted on out patient basis. It is a short procedure which may last between half an hour to an hour and is conducted under general anesthesia, with minimal complications to the patient. Prior to the surgery, eye drops are used to dilate the pupil and the area around the eye is cleansed and washed adequately. Phacoemulsification: It is an extra capsular extraction procedure, where the natural lens is removed completely, while maintaining the lens capsule for implantation of the artificial intraocular lens. The procedure involves the use of an ultrasonic probe, with a vibrating tip which emulsifies (softens) the lens tissue. After the emulsification of the lens tissue, the material is aspirated using a dual irrigation- aspiration probe. Conventional procedure for cataract extraction: It is a conventional procedure, which is used for cataracts that can’t be removed using the phacoemulsification technique. A large incision is made on the cornea, and the opaque lens tissue is removed manually. The wound is subsequently sealed with stitches. Intracapsular cataract extraction (ICCE): This procedure is rarely used due to the possibility of a higher incidence of post operative complications. Cryoextraction is a type of intra capsular extraction procedure, in which lens tissue is frozen with the tip of the probe and the lens tissue is extracted. After the extraction of the cataract, an artificial lens (as referred to as intraocular lens). There are different types of intraocular lens which include foldable IOL (which require a smaller incision) or PMMA (polymethylmethacrylate) lens (which require a larger incision). After the procedure, a patch of dressing is placed over the operated eye whilst the medical team observes the patient for post operative problems like bleeding. The patient is discharged on the same day after the surgery. The patient may experience itching, discomfort or fluid discharge after the surgery which are temporary problems and resolve within a few days. Antibiotic eye drops may be required for few days after the surgery to promote healing and to reduce the risk of developing secondary infections. The patient is requested to avoid bending or any heavy or strenuous work for a few weeks after the surgery to prevent a rise in the intraocular pressure. Light household chores are allowed. Tear of the posterior capsule: The posterior capsule may rupture in some patients, which may require an alternative procedure for the placement of intra ocular lens. A non infectious inflammatory reaction may occur after a cataract surgery. It is treated with high dose of steroids and is clinically referred to as Toxic Anterior Segment Syndrome. Infection of the intraocular tissue may occur in some cases after cataract surgery. Macular edema may occur a few days after the surgery, which involves the swelling of the central part of the retina. These can be treated successfully without any surgical intervention. With rapid advancements in technology and an improved infrastructure, India is emerging as one of the leading medical tourism destinations across the world. The country offers affordable cataract surgery coupled with international quality and well trained medical professional teams. Mexican healthcare infrastructure is rated as the 61st best healthcare infrastructure in the world by the World Health Organization. Its proximity to the American border, lower travel time and strong medical teams, have helped it, become one of the most preferred destinations for seeking medical care abroad, especially for American patients. With a strong image and repute in the Middle East, attributed to international quality standards and low cost of cataract surgery, Turkey is now poised to become the new hub for medical tourism across all continents. The hospitals in Turkey are equipped with the latest technology and equipments and a team of experienced and well trained physicians, thus attracting several American patients, every year. Stringent norms to ensure high quality of medical practice and rapid augmentation of the medical infrastructure have won Jordan the reputation of being one of the best medical tourism destinations in the Mediterranean region. Though most of the medical tourists coming to the country are Europeans, the potential ability to couple medical care travel with leisure travel has prompted an inflow of patients from the United States. South Korea is a recent entrant to the medical tourism industry and yet has gained phenomenal reputation. High quality of medical care with huge savings of up to 50% on cataract surgery cost, has promoted the growth of medical tourism industry in the country. Medical Tourism Corporation facilitates affordable cataract surgery abroad at many international locations. Fill out the free estimate request form for a free quote & more information.